‘Based on a True Story’ is eye-catching, head-turning and ticket-worthy for many movie fans. For horror, this tagline alone and its message is especially enticing and ups the ante on all other movies playing that week in theaters. Quite simply: it sells. 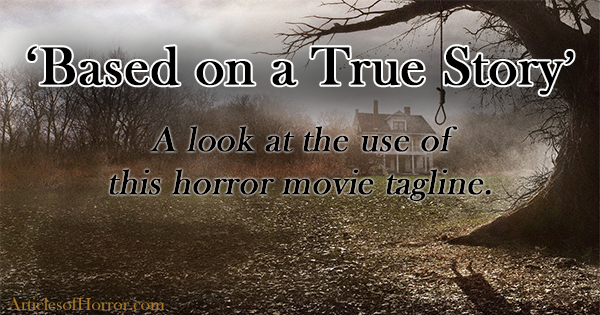 But what does ‘based on a true story’ really mean? As movie-goers, how much can we hold such a movie accountable as being truthful towards the real persons and events it portrays? Advertising that a movie is based in a true story goes back to 1899 with the short film Major Wilson’s Last Stand. 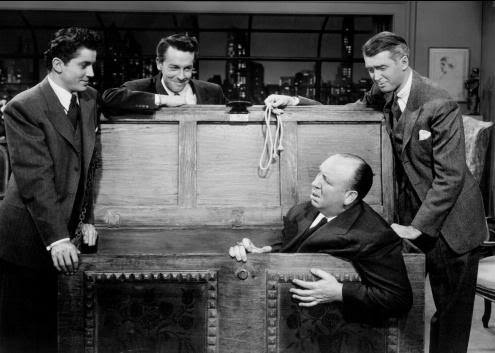 However, the first major horror genre Hollywood film to be inspired by real events was Rope in 1948. Directed by the legendary Alfred Hitchcock, Rope takes the story of a 14 year-old boy named Bobby Franks who was kidnapped and murdered by two students (named Nathan Leopold and Richard Loeb) attending the University of Chicago in 1924. They believed that in their superior intellect, they would be able to pull off the perfect crime. Ultimately the two were arrested and sentenced to life plus 99 years in prison, each. The film cleans up the real story for 1940s audiences by replacing the teenage victim with a man roughly the same age as his murderers, along with other creative liberties. It is without a doubt, that films like Rope and others that claim to be based on true events dramatize their plots for the sake of story. But how much is too much? The first paranormal horror film with a plot based on truthful events came in the form of The Exorcist in 1973. We’ve talked about the alleged real events surrounding this story in depth, you can read more here. 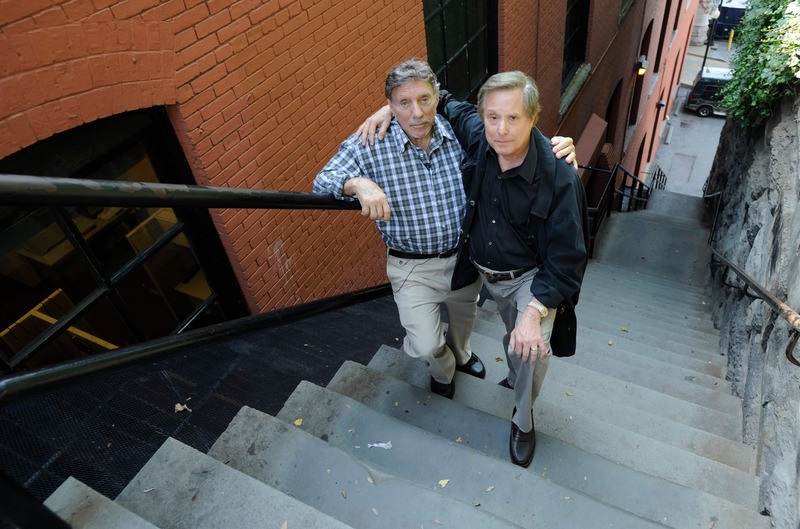 Based on a 1949 case of possession, William Blatty published a novel by the same name after learning about the possession while attending Georgetown University. Just how much of the story is based in fact is still debated today. The movie did not avoid controversy, however, and suffered a lawsuit when Norma Sutcliffe and Gerald Helfrich sued James Wan, and Warner Bros. Sutcliffe and Helfrich, the owners of the house which was used to film the movie, saying that their property has been continuously trespassed and even vandalized since the film’s release. 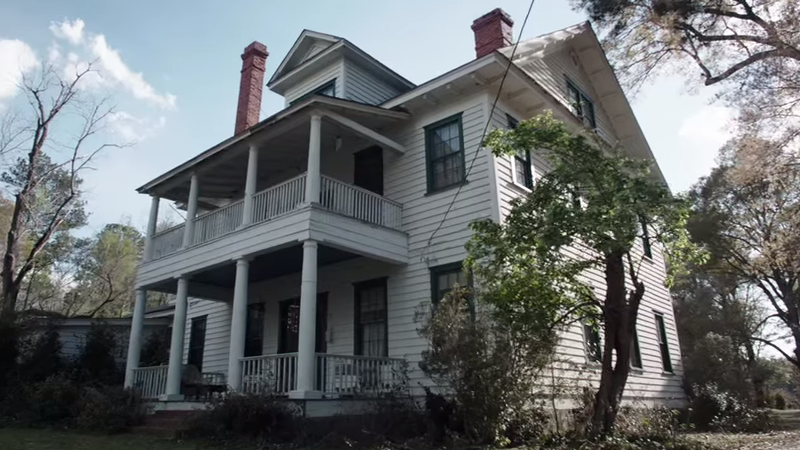 Both owners state that while they’ve owned the property between 1987 and 2012, they have lived “in peace” – implying there have been no real paranormal occurrences during that time. 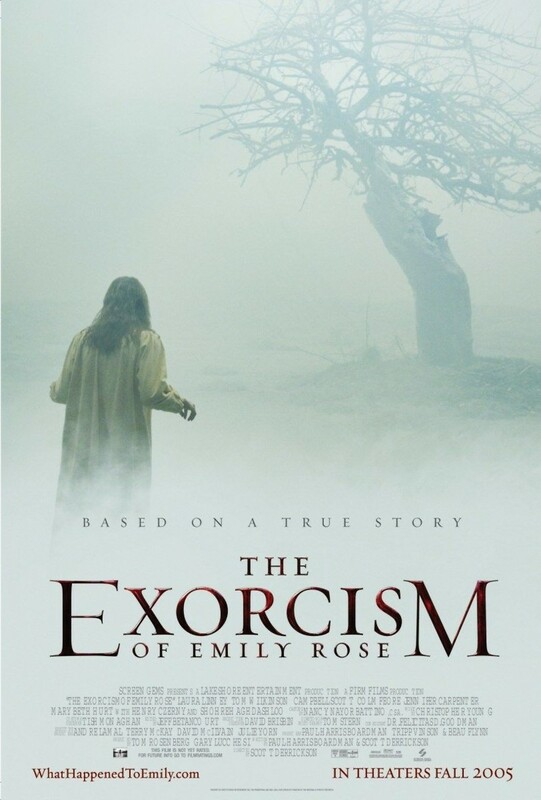 The highly successful film has produced spin-offs and sequels, including The Conjuring 2 (2013) and Annabelle (2014), both of which also claim to be ‘based on true events’. Annabelle 2 is in theaters 2017. Another spin-off titled The Nun is currently in the works, though whether or not it will be based on a true story is yet to be seen. So the next time you walk by the latest horror movie poster and read that very cleverly placed ‘Based on a True Story’ line, take it with a grain of salt. While much of a story’s plot might stem from real events and people, know that a lot of Hollywood storytelling relies on the dramatization of facts and details. That’s not to say no one should watch these movies, in fact, many have proven themselves to be box office and critical successes. Just be aware that truth is always subject to change in the entertainment industry – ‘truth’ Hollywood can pull and play with it like a piece of putty. Collis, Clark (November 16, 2012). “‘The Conjuring’: First look at ‘Insidious’ director James Wan’s new horror movie”. Entertainment Weekly. very cool site Christina. Keep it going. Horror lives on strong!